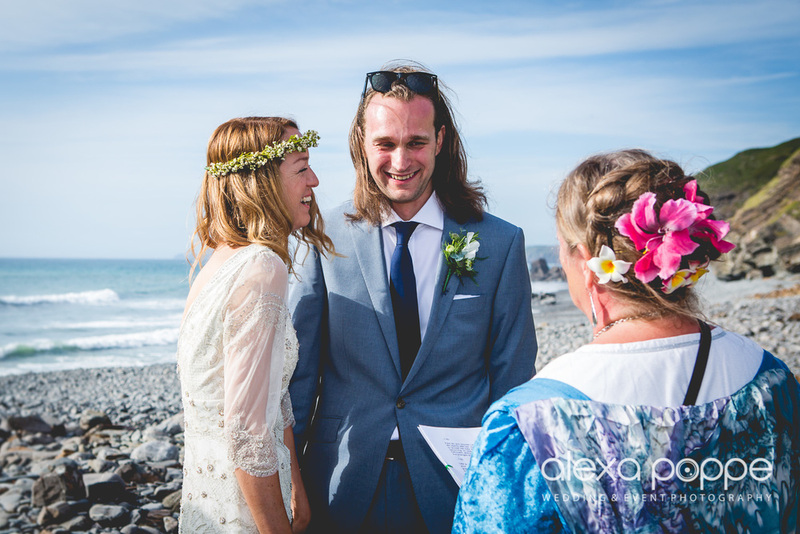 Laura and Paul love everything nature and celebrated their wedding their own way with a pagan ceremony on the beach at Millook Haven. Millook is a hidden cove lying under imposing cliffs in North Cornwall a few miles south of Widemouth Bay. 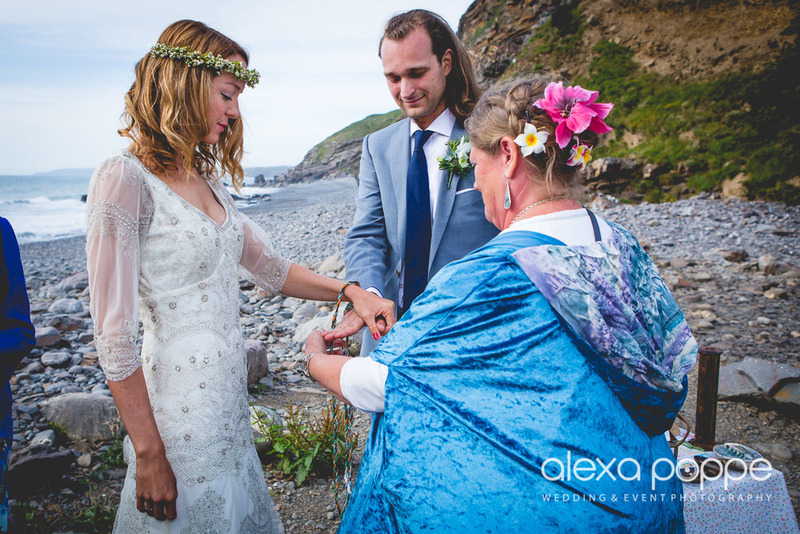 It was one of the most intimate, personal weddings I photographed this year. The lovely celebrant Leonore Newson held the most touching ceremony and it felt like she was a family member herself. The day was planned to the last detail and holy waters were collected from the famous Chalice Well in Glastonbury. The water is believed to possess healing qualities and in addition to the legends associated with Glastonbury the Well is often portrayed as a symbol of the female aspect of deity with the male symbolized by Glastonbury Tor. My highlight was when Laura and Paul combined the waters from the springs into a stout and poured it into the sea, a symbol of the divine feminine. 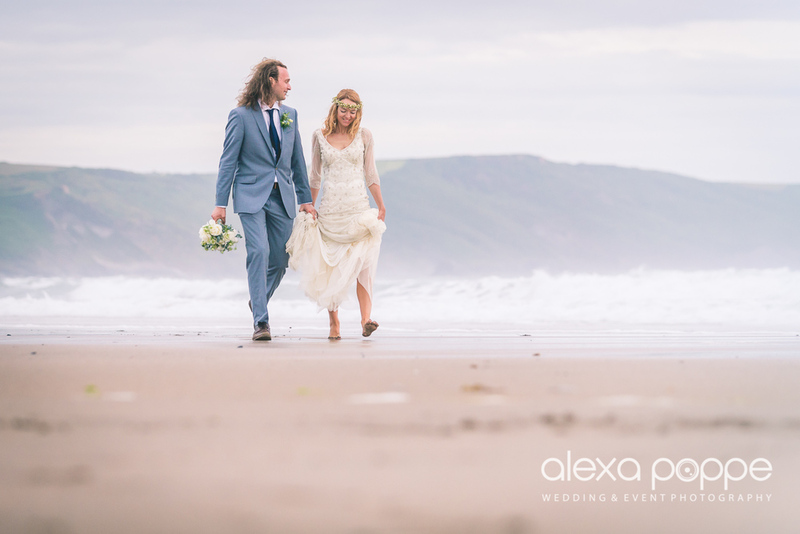 Just before sunset we ventured to the nearby Widemouth Bay for the couple shots. It was getting dark fast, but working with such a realxed couple and a little added flash, I love the results. 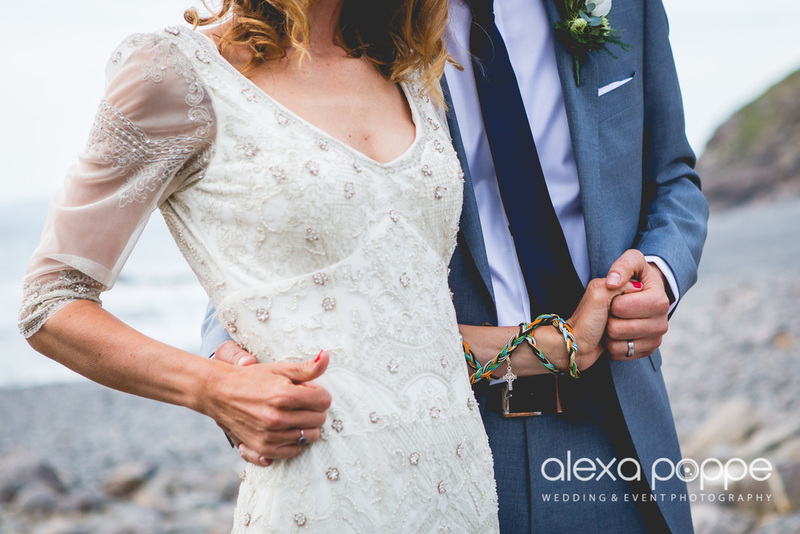 I love shooting small, intimate weddings like this. They have a very special, personal feel to them and combined with such a stunning location and lovely people, I feel blessed to play a part in it.